Round trip transfers for passengers and two (2) pieces of luggage per person between Honolulu Airport and Waikiki hotels. 7 Night Cruise Seattle return based on inside category ID. Upgrade available. Now you can tour the factory where they build and test the famous Boeing aircraft, the world's number one aerospace company! This amazing 1.5-hour small-group tour showcases the magnificent 747, 787, 777 aircraft used worldwide and the Dreamliner which is currently in production, all housed here in the world's largest building. Book now for an experience unique to Seattle! 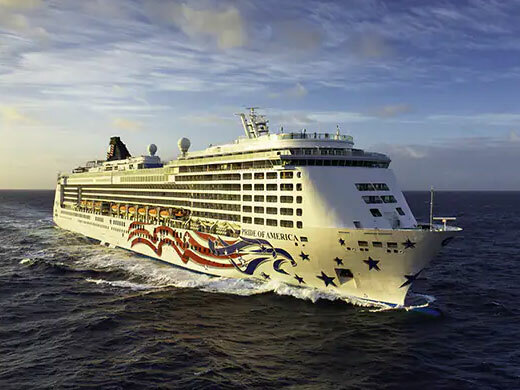 Come onboard Pride of America, which is Norwegian Cruise Line’s only cruise ship that sails round trip from Honolulu throughout the year, so that you can holiday on your schedule. As you cruise from one beautiful island to the next, you get to know about Hawaiian culture from the native ambassadors onboard. You can go island hopping in Hawaii with the luxury of 15 restaurants, 12 bars and lounges, spacious suites and balconies onboard. You can indulge in whale watching, observing a volcano and much more.